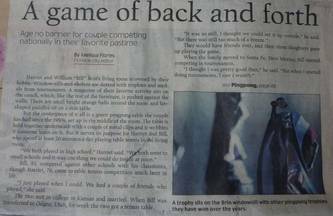 A MC Weekly article by Amanda Stein introduces our club in "831 >> Tales from the Area Code <<" section. (click here for the direct link to the article)! The club moved to a new location; American Legion (Post 694) in Marina. The first meet day was Nov. 16 (Mon). Check the new Location, Meet Days/Playing Time and Club Rules. Visit the Forum for real-time discussions regarding the meets at the new location. We need your help and participation to maintain the club. 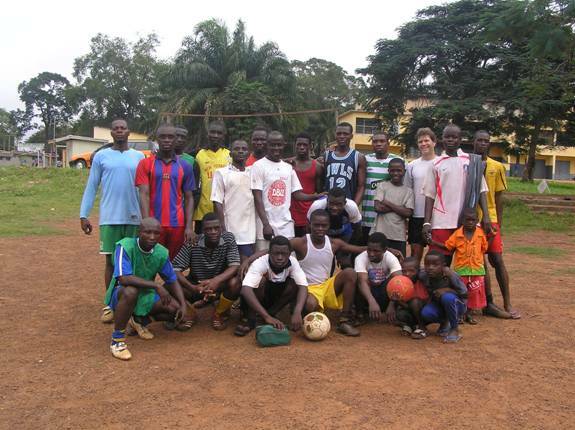 Chris volunteered as a pathologist in Kumasi, Ghana from Oct. 10 to Nov. 10, 2009 at a large teaching hospital. There were many challenges and limitations, but he was rewarded with a fulfilling experience not just in the medical sense, but also in meeting the people, trying the food, seeing the animals, and even playing some table tennis. Shown in the left picture is the office in Ghana. Click here for more story. 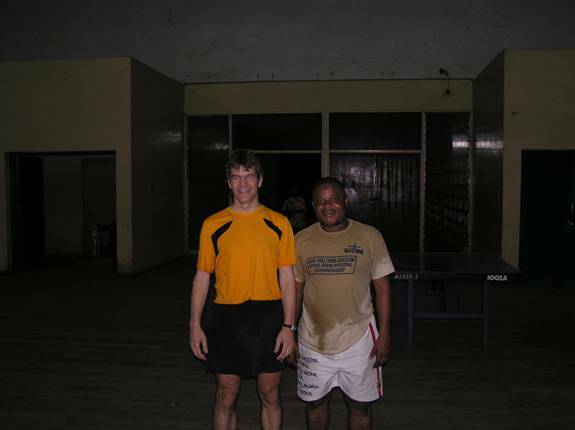 The World Champions Table Tennis Academy is hosting its 2009 Winter Camp from December 28, 2009 - January 1, 2010. 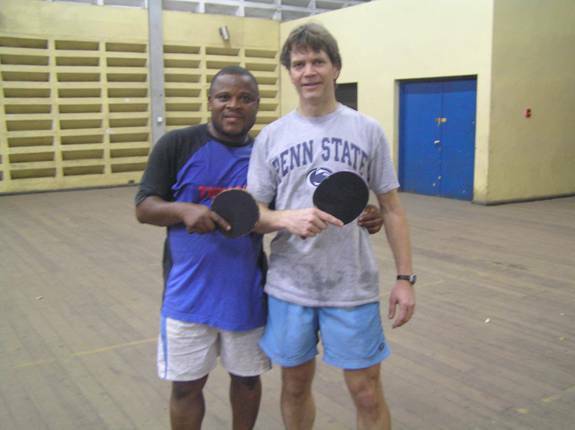 They are looking to have a select group of players who are serious about table tennis and want to improve their games. With only 1 weekly session offered this winter, this camp is already getting full. The camp will be held at the Topspin Club in Santa Clara. As always, the camp will be led by former 4x World Champions, Li Zhen Shi and Zhang Li who were also the US and Chinese National & Olympic Team Coaches. Completing the coaching staff is newly appointed US Men's National Team Coach, Stefan Feth and former US National Team Member, Nan Li. Curt brought home a few medals from the Huntsman World Senior Games in St. George, Utah. The event lasted from Oct. 5th through the 9th, and had about 200 players from all over the world slugging it out in men’s and women’s singles, doubles, mixed doubles, and random draw doubles. It was great fun; lots of nice folks, good sportsmanship, and great food (the sponsors put on a “Dutch oven” dinner one night that was terrific). These Games include virtually all major sports, including our sport, and track & field, archery, basketball, racquetball, softball, volleyball, etc. If you are 50 or older, they are anxious to meet you. About 9800 athletes were there this year. 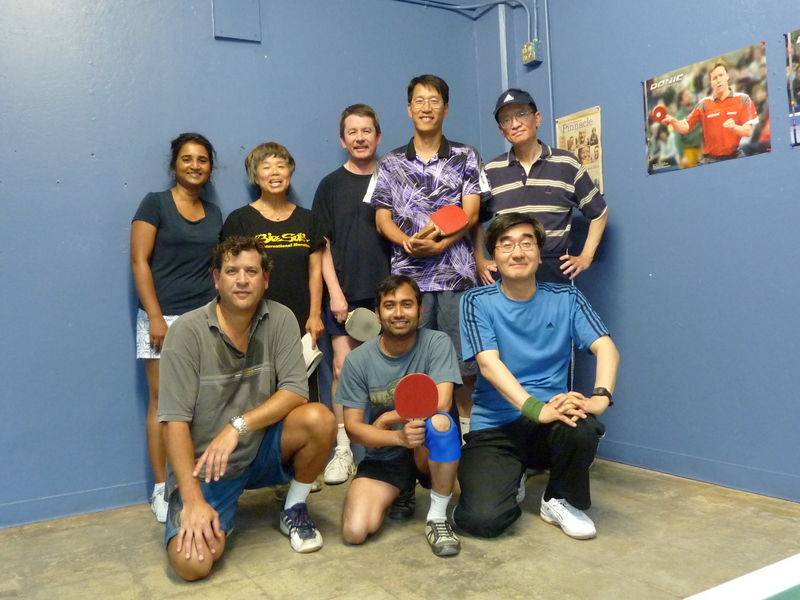 Another tournament was held during the labor day weekend at the Recreational Sports Facility, UC Berkeley (2301 Bancroft Way, Berkeley, CA 94720). Josh played in U-800, but narrowly missed advancing to the next round with the 3-way tie among 3 players. 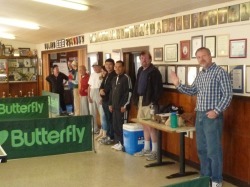 The Round Robin was held Saturday August 22 at Folsom Sports Complex. Curt, Bill & Harriet, Mark D., Shrikant, Rick, YJ, Josh, James and Rex participiated in the tournament. We all had a great time and enjoyed wearing the nice club uniform representing our club (thanks to Gil). We also had some great success, while some of us suffered from very close losses. Shrikant advanced to the second round in U-1300 and Mark D. got the silver trophy in U-1925! Congratulations! Go to Photo Album for more pictures. 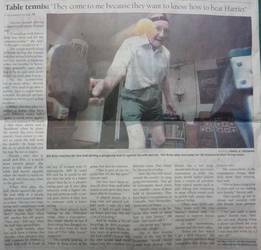 Two senior table tennis tournaments are coming up (for those 50 and older): The National Senior Games (www.nsga.com) will be held at Stanford University in August. The World Senior Games (www.seniorgames.net) will be held in October in St. George, Utah. Curt will be playing men’s doubles and mixed doubles at the National Senior Games. 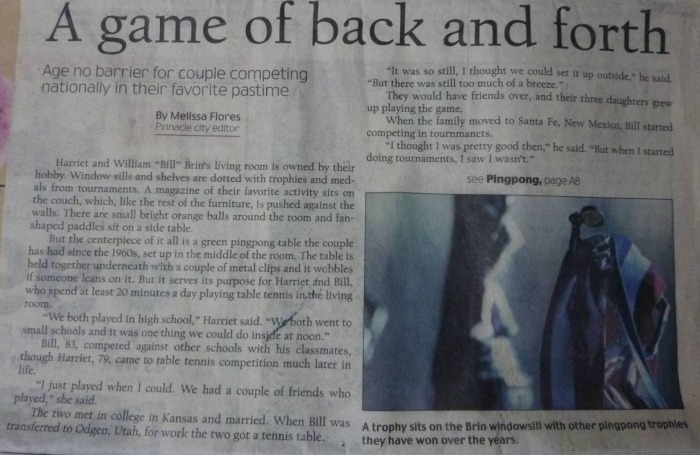 We wish him enjoy the games! Recreational Sports Facility at UC Berkeley (2301 Bancroft Way, Berkeley, CA 94720). Entries must be postmarked by FRIDAY, February 6, 2009. Click here for the entry form and details. Larry was involved in a car accident, which occurred on Jan. 10, 2009, in Marina. He was not taken to the hospital, but is suffering from minor injuries with some chest pain. He had called Gil right before Gil was about to call him. He said he had been thinking about us (the club). 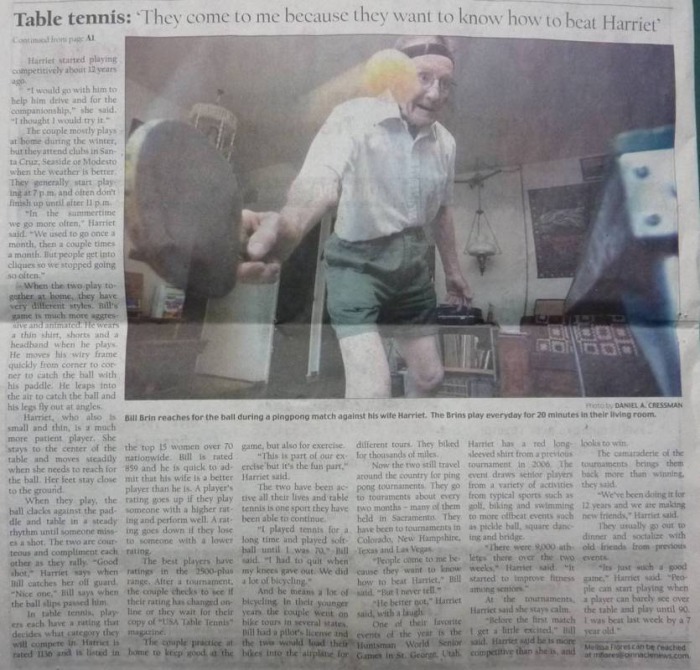 His new year's resolution was playing more table tennis, but he has to take it easy for now. Everybody knows that nothing can keep him down. Our best wishes and prayers for Larry and everybody involved in the accident. We'd like to see him soon on his nice bike again! - He is now back with us! 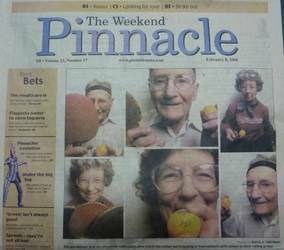 A brand new table tennis facility is now open in Saratoga. There was a grand opening event last Saturday (Jan. 24) with an exhibition by the World Champions Coaching Team. For the summer of 2009, the famous World Champions Coaching Team will have 6 week-long training camps in the Bay Area. Check out the Early Bird Special for those that sign up before February 28th, 2009. Their Early Bird Special will give you a FREE taste of what private lessons are like with the World Champions Coaching Team.